So iPhone 8, 8 Plus, and X have wireless charging (read our iPhone X review article if you have not yet). But did you know that Apple limits them to 5 Watts (for safety reasons, I assume)? 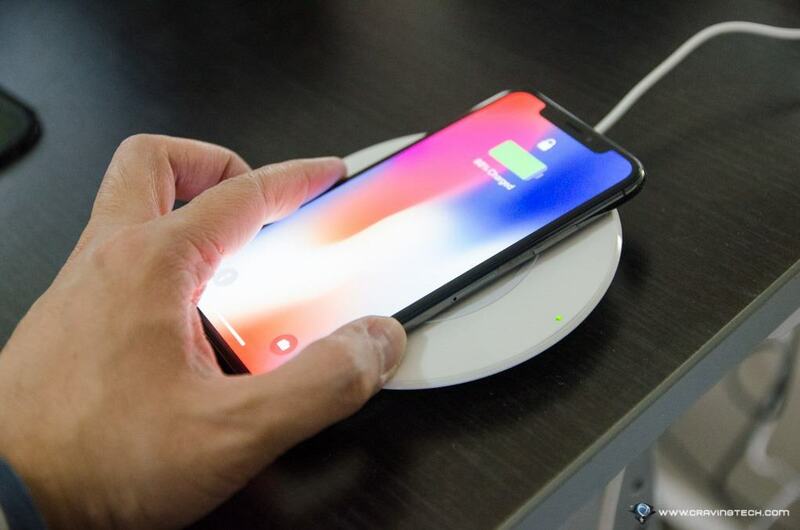 So even if you have a Qi wireless charging pad that supports 7.5 Watts or more, your iPhone will still be charged slower. The latest iOS 11.2 update (still in Beta) seems to remove this limiter and now allows your iPhone 8, 8 Plus, and X to be charged at 7.5 Watts – meaning, they will be wirelessly charged faster than before. The difference is not huge but faster charging is always good, right? According to MacRumors, you can get around 6% more battery within 30 minutes with a 7.5 Watts charge compared to a 5 Watts. I personally don’t mind a 5 Watts charge because I only use my Belkin BOOST UP Wireless Charging pad (check the review out) when I go to bed. But if you use it regularly or on a car, you’d definitely want your phone to be charged as fast as it can. You have to wait until iOS 11.2 update is released. If you have a development or beta profile, you can install it now. If not, you’ll have to wait maybe for a couple of weeks or so for the public release. You need to have a Qi wireless charging pad that supports 7.5 Watts charge, like the Belkin BOOST UP charging pad. You may be able to get a cheaper non-branded wireless charging pad, but check the Wattage output to make sure it supports at least 7.5 Watts charging.